Today, April 23, 2016, is the 400th anniversary of Shakespeare's death. In commemoration of this date, Shakespeare companies and enthusiasts around the world — and even above it, on the International Space Station — are celebrating his works and legacy. How can you join the celebration? Make a donation to a theatre organization that is keeping Shakespeare's works alive and introducing a new generation to them in exciting, accessible performances year-round. 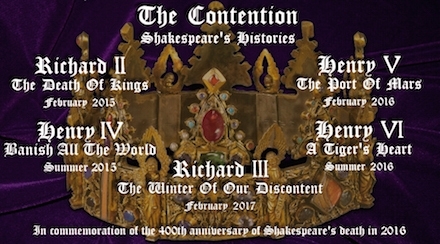 Ithaca Shakespeare is in the midst of our most ambitious season ever, with four fully staged productions in 2016, and we could truly use your support on this anniversary occasion. 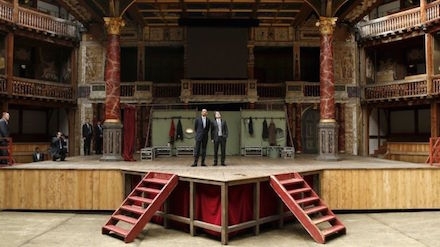 Click here to celebrate World Shakespeare Day by making a quick, secure donation online or by mail. 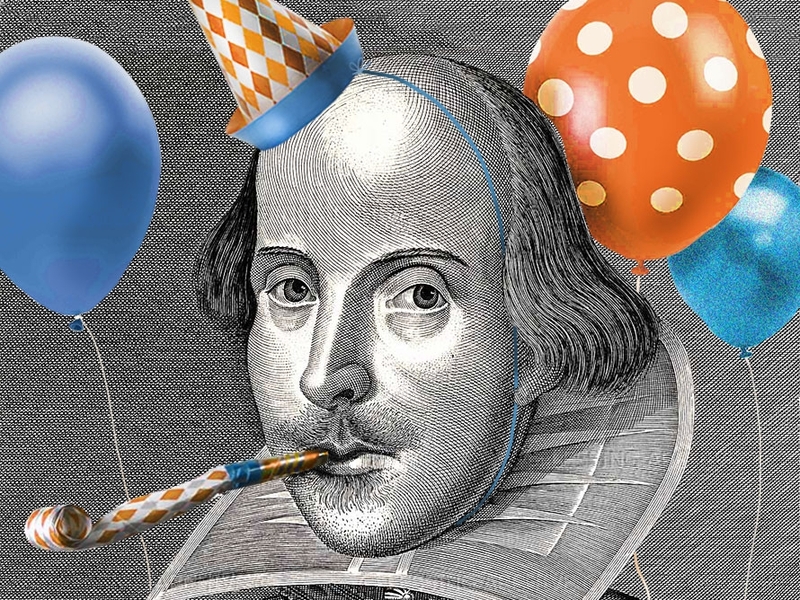 Was Shakespeare really born on April 23 also? There is a record of Shakespeare's baptism on April 26, 1564, and a new baby would typically have been baptized within a few days of birth. So he might have been born on April 23...but it might just as well have been another day close to it. Shakespeare died on April 23, 1616. There is documentary evidence of that. April 23 is St. George's Day, and St. George is the patron saint of England.